A portion of your contribution from your splendid purchase of Mrs McCartney’s Teas goes to the Linda McCartney Breast Cancer Research Centre in Liverpool, U.K. 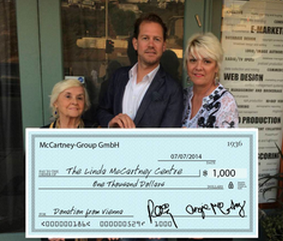 The Linda McCartney Centre. The Linda McCartney Centre began its life as a nursing college when the Royal Liverpool University Hospital was built in the 70s but, once nurse training was transferred to John Moores University, the centre became under-utilised. Visit The Linda McCartney Centre online by clicking here.